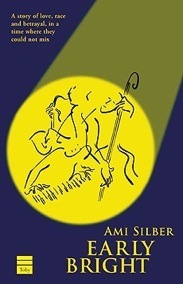 Author Ami Silber welcomes you to her website. "...Silber delivers a captivating downhill ride through the alleys and clubs of LA’s 1948 bebop scene, crafting a fascinating antihero..."
"Early Bright beguiles with its mastery of language and drama and is highly recommended." Los Angeles. 1948. The world of con artists and jazz clubs. Louis Greenberg will sell you your dreams, but what will it cost to make his own come true? Learn more about the book and ordering it here. Selected by the Jewish Book Council as a Recommended Read.